A true classic and make-up bag must-have, this budge-proof jet black liner will instantly elongate and sexify your eyes (the Kate Moss effect is unfailingly purrrfect), while the waterproof formula stays put – whatever the not-so-Great British weather may throw at it. With an ultra-fine precision tip and fluid, snag-free formula, this glides on seamlessly (minimising the risk of make-up-plus-bus-ride fiascos) and can be used to draw anything from whisper-thin lash lines, to full-on feline flicks... all safe in the knowledge that it won’t wash off in a downpour. It's available in six stunning shades, from classic black to sapphire blue. 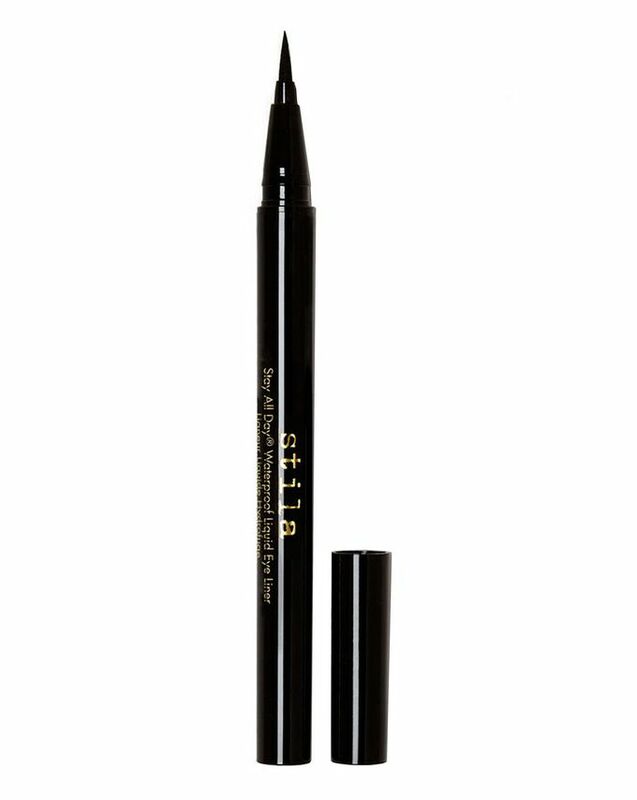 A gorgeous addition to Stila’s best-loved make-up range, Stay All Day Waterproof Liquid Eye Liner marries kittenish pigment with a grown up formula, to enhance eyes with a sweep of inky colour that endures for as long as you last. The brainchild of a celebrity make-up artist in 1994, Stila’s goal is to encourage every woman to celebrate her own unique beauty; to look and feel like the best version of herself… and to have masses of fun achieving it! A felt tip for your face, this liner is a testament to this philosophy; versatile, vibrant, affordable and perennially ‘on trend’, as well as flattering, long-lasting and totally foolproof. There are six stunning, ‘intense’ shades to choose from: midnight ‘Intense Black’, rich bronze ‘Intense Smoky Quartz’, rich violet ‘Intense Amethyst’, vibrant blue ‘Intense Sapphire’, diamond-streaked charcoal ‘Intense Labradorite’ and emerald green ‘Intense Jade’. From the inner corner of your eye, gently stroke the tip of the liquid eyeliner along the lash line, as close as possible to avoid any gaps. If you do not wish to paint a continuous line, it can be easier to paint a few small dashes onto the lash line, eg. inner corner, middle and outer corner, then go back and connect them. Keep the eyeliner thin to create a 1950's Audrey Hepburn look or build up a thicker line for a rock chic, weekend-ready vibe. Water/Aqua, Styrene/Acrylates Copolymer, Butylene Glycol, Beheneth-30, Sodium Polyaspartate,Phenoxyethanol, Alcohol, Methylparaben, Propylparaben, Sodium Dehydroacetate, Disodium EDTA, Acrylates/Octylacrylamide Copolymer, Sodium Hydroxide, Xanthan Gum, May Contain (+/-) Titanium Dioxide (CI 77891), Iron Oxides (CI 77491, CI 77492, CI 77499), Ferric Ammonium Ferrocyanide (CI 77510), Black 2 (CI 77266). 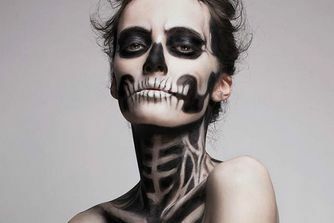 Great eyeliner, just not waterproof. Best eyeliner I have ever tried, does not smudge, stay all day, I tried so many eyeliners from famous brands but this one really the best. I wear waterproof liquid eyeliner every day and thought this sounded ideal for me. It goes on easily and looks great - so far so good. Unfortunately, throughout the day it continually smudges onto my upper eyelid leaving black marks. I rub it away, a couple of hours later there are more marks. It was even worse when I sprayed setting spray on top - it smudged right away. Going back to MAC Liquidlast asap, that literally never budges. Guess I'll throw this away. The best eyeliner I have ever tried! I have purchased this product like three times but it has never worked. Firstly, and no one mentions this, the nub goes super soft after a couple of uses. Secondly If your eyes water this product is gone. I am a huge eyeliner fan, I have a lot of eyeliners. I was using Kat Von D Ink Liner these last months (it's perfect) and I wanted to try another one, so I went for this one. But I'm not so pleased by the brush when i draw my line. The liquid spread over my eyelids. Even if the liner is precise (and very black), the line you draw on your eye smudges. After countless searches and purchases of other eyeliners in the search for a stay all day I finally came across this little beauty. It does exactly what it says on the packaging. I'm in love, it stays all day even when I've been in hot climates. I will be repurchasing. This eyeliner is a must have, its so easy to use, is jet black and lasts all day! Ok, second take on this! My problem with this style of liquid eyeliner is that it's never black enough, however this is a very intense black. It's easy to apply, I've never found wings so easy to put on. It lasts very well, doesn't smudge or smear throughout the day, and is all round a great eyeliner! Okay... I recently bought several different liner pens after watching reviews by DutchBeautyHeroes.... they all disappoint so much. Whilst they were telling the product would't budge... well within a few hours they all transfer to my lower lids. BUT THIS STILLA ONE IS PERFECT! Sorry for the capitals but it does not budge. I have greasy skin but it only comes off when I remove it in the evening. Another thing that I have to say. It has a foolproof application, I get such a steady line with this. hooray! Another positive is it doesn't dry out quickly; most of these pens out there are easily clogged, probably through the eyeshadows used underneath. This one lasts a very long time. Also it is pretty deep black not watery at all, I cannot recommend this highly enough. 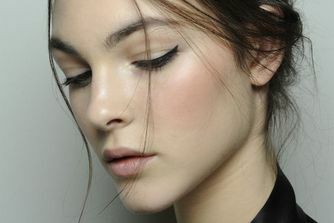 I have always struggled trying to create a feline flick, this eyeliner makes it soo much easier. Easy to apply and stays put, will definitely be re-purchasing. After being continuously disappointed with liquid eyeliners I decided to go for a more expensive one, definitely worth it! It is very easy to get a lovely fine flick without having to redo it a number of times! Long lasting and gives an intense black colour, will definitely be repurchasing. This eyeliner is just fantastic. For years now, I have looked for an eyeliner that actually lives up to its name. Without fail, every 'long stay' eyeliner ends up half way down my face. This one doesn't. It really doesn't. I am so pleased with this find! I only hope they never discontinue it. This eye liner stays allll day. I have really oily lids and no eyeliner ever keeps for more that a few hours. The brush is thin and you can get some great detail, also - when you put the lid back in there seems to be some sort of spring mechanism that must ensure that the product in distributed all the time to stop drying out. Let's start with the positives: the application is easy thanks to the shape of the felt tip and the wand. However the colour payoff is really not good, you have to swipe over the same spot multiple times and sometimes the product lifts when doing that leaving you with random patches. Also, it is absolutely not waterproof. To begin with, this product has brilliant application and staying power, making it really easy to get a great line that lasts all day. I've repeat purchased this product maybe 6/7 times, and I'm always delighted, to begin with. However, the product runs out extremely quickly and can sometimes stick to the top lid. That said, I do keep going back because of the good value and the initial success (and also the fact that I am yet to find a better product despite trying several others). I was expecting more from this eyeliner for the price. The eyeliner ran out very quickly and the brush quickly became misshapen resulting in thick lines. I also found that the eyeliner ran quite a bit, particular towards the inner corners of my eye. Would not buy again, especially when there are cheaper products of better quality such as the epic ink NYX liner. I have tried so many liquid liners, but nothing has come close to this. It's easy to apply and doesn't smudge at all, even when it's raining. The colour is very black and opaque. Definitely worth the money, will be buying again. This is not necessarily my favourite style of eyeliner (I prefer the ones which are actually like brushes over felt-tip pens), but this is pretty black and has reasonably good - although definitely not 'stay all day' - lasting power. I find that it can pick up a little on itself during application but overall it's nice. I'll use it up, but I won't repurchase. Maybe if you enjoy this style of application it's worth the price but I will be going back to the NYX liquid liner as I prefer the brush and it's blacker, stays longer (on me), and is half the price. I thought it would be smudge proof but it stained my eyelid area within half a day after I applied the liner on my top eyelash line. Not buying again. I've bought countless tubes of these and use it together with my Kat Von D Ink Liner (both are very similar). The payoff is great, very black, it doesn't budge especially if you use it with eye primer and a thin tip that gives a great flick. The only downside is that as you continue to use it, the felt tip starts to fuzz up which makes create a precise winged eye difficult but it's nothing a pair of scissors can't solve! I love this eyeliner, it's perfect in every way I need my eyeliner to be, it's jet black, it's really hard wearing and easy to create beautiful flicks, I just recently bought my sister one too. I have trialled this liquid liner through many a night out, making shapes on the dancefloor - none of which were symmetrical or smooth as the line this creates ;) a full day on a hot beach and just now lying face down having a massage, and it just doesn't budge. It's not rocket science, it's reliable... and that's better than rockets any day. This will be the only liquid eyeliner you will need. Don't go around being coy and trying out other eyeliners. Your wallet will not thank you for it. Just stick with this one. It's easy to use, doesn't smudge, makes your eyes look great. It's the reliable liquid eyeliner. Oily Eyelids - no problem! I have not worn liquid eyeliner for more than 30 minutes before its smudged and all over my face. With this one, this does not happen! It does wear off me during the day but not all over my face! Easy to remove at the end of the day when you want to. This is one of my favourite liquid liners of all time. 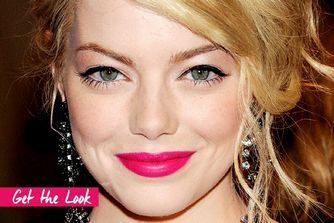 It really does stay in place all day and please don't curse me, I have had the odd occasion where I've forgotten to take my makeup off before bed, in the morning, this liner hadn't moved at all and still looked perfect! The pen itself is pretty thin meaning you can get an accurate line and the colour is jet black. I have heard and read a lot of rave reviews for this product so I was definitely expecting a lot. It does go on really nicely and the superfine tip makes application really easy. It gives a very nice opaque line and it does wear well provided I wear powder eyeshadow. The only complaint I have is that, for me, it transfers quite badly if I wear it on bare lids. I do have quite oily eyelids so I am used to this happening and it's not the end of the world having to put a bit of shadow on first but after the reviews I have seen I was hoping that this wouldn't be necessary. Otherwise it is a great product and I would definitely recommend it for those without the oily lid problem or those that plan to wear it with shadow.